Unfortunately, you’ve probably already read about one of the most widespread security issues in modern computing history -- colloquially known as “Meltdown” (CVE-2017-5754) and “Spectre” (CVE-2017-5753 and CVE-2017-5715) -- affecting practically every computer built in the last 10 years, running any operating system. That includes Ubuntu. I say “unfortunately”, in part because there was a coordinated release date of January 9, 2018, agreed upon by essentially every operating system, hardware, and cloud vendor in the world. By design, operating system updates would be available at the same time as the public disclosure of the security vulnerability. While it happens rarely, this an industry standard best practice, which has broken down in this case. At its heart, this vulnerability is a CPU hardware architecture design issue. But there are billions of affected hardware devices, and replacing CPUs is simply unreasonable. As a result, operating system kernels -- Windows, MacOS, Linux, and many others -- are being patched to mitigate the critical security vulnerability. Ubuntu optimized kernels for the Amazon, Google, and Microsoft public clouds are also covered by these updates, as well as the rest of Canonical's Certified Public Clouds including Oracle, OVH, Rackspace, IBM Cloud, Joyent, and Dimension Data. These kernel fixes will not be Livepatch-able. The source code changes required to address this problem is comprised of hundreds of independent patches, touching hundreds of files and thousands of lines of code. The sheer complexity of this patchset is not compatible with the Linux kernel Livepatch mechanism. An update and a reboot will be required to active this update. 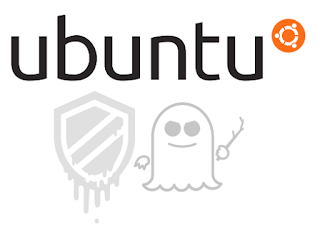 Furthermore, you can expect Ubuntu security updates for a number of other related packages, including CPU microcode, GCC and QEMU in the coming days. We don't have a performance analysis to share at this time, but please do stay tuned here as we'll followup with that as soon as possible.